The problem with small rodents and pesky creatures is that they can invade any home in various parts of the world. Voles are lesser known nuisances that are similar to other well known rodents. They are found in various parts of the United States. The main issue with voles is that they bury into our homes and ruin parts of our residence. Vole repellents are available, however, and there are certain issues to consider when choosing a solution. Voles are rodents that look similar to gophers. They burry and dig their way into wood and dirt areas of our home destroying them. They survive off of dead animals or an insect, so finding a nice warm spot for a meal is not always difficult within a home. They will bury tunnels and abandon them at times. After they are finished with a tunnel, they may abandon it for a different location. This causes problems when trying to entrap voles since tunnels are hard to distinguish as active or non-active. Vole repellents can be in the form of traps. Trapping a vole is similar to a mouse or rat trap. Voles like to dig tunnels in grass or garden beds. Place vole repellent traps in areas where tunnel are found at distinct areas where the vole will enter or leave the tunnel. After trapping a vole, it is important to discard the remains in a plastic bag or bury it in the dirt. Vole carcasses can carry deadly pathogens and should be handled carefully. Another type of vole repellent is the use of zinc phosphide pellets. Spread the pellets throughout vegetation or grass areas where voles frequent. The pellets will rid the area of voles effectively and quickly. The issue with zinc phosphide vole repellents is that the chemical is extremely toxic. When handling the pellets, you must wear gloves to protect your skin. Additionally, the fumes from zinc phosphide are lethal to humans, so be careful not to inhale the chemical while placing the pellets. Another vole repellent method is through anticoagulant traps. Similar to zinc phosphide, anticoagulants are placed by burrows where voles reside. These types of vole repellents are slower to act so they take longer than zinc phosphide to see results. The organic material is lethal to voles, however it can take days for death to occur after ingestion. The length in time can be an advantage if pets or livestock ingest the material. The antidote (Vitamin K1) can be administered if one of your pets accidentally consumes the lethal chemical. The vole repellent is also toxic to humans, so careful administration of the drug is important for your safety. When ridding your area from voles, make sure to decide on the most effective method for your area. 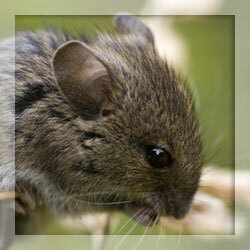 If traps don’t attract voles, the only option might be to use vole repellent containing poisons. When using poisons, always make sure to keep away from children and pets. While the eradication of voles can be time consuming, proper procedures will ensure your crops will remain vole free.